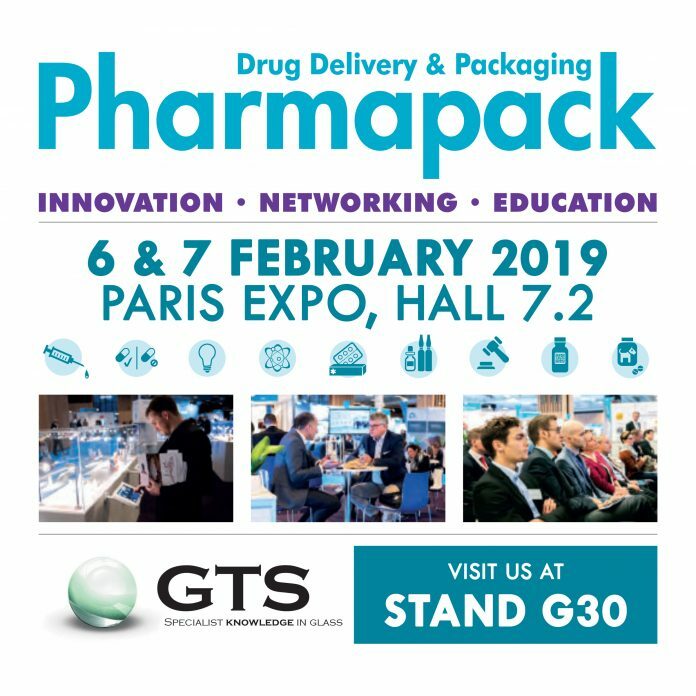 Glass Technology Services Ltd are exhibiting at Pharmapack 2019 exhibition in Paris 6-7 February 2019. Pharmapack 2019 exhibition is a two-day event dedicated to pharmaceutical packaging, drug delivery and innovation. As a packaging medium for drug products, glass is unrivalled in its durability and protective properties but still needs to meet stringent requirements for both product performance and chemical durability. The independent glass experts help provide peace of mind and demonstrate due diligence through independent, accredited analysis to support quality assurance, compliance and operational teams in their packaging selection, routine verification and packaging developments and through troubleshooting packaging and line issues. Glass Technology Services Ltd is a leading specialist for glass analysis, verification, troubleshooting and consultancy support. Its laboratory is actively involved in a range of international technical committees covering key developments in glass delamination, durability and analytical methods. The laboratory is accredited to ISO/IEC 17025 and ISO 9001 quality standards and is registered with the US FDA under GDUFA for API/FDF testing.